The rocket will be unveiled near the company's headquarters and workshop in Edinburgh. Mr Smith said: "With the UK government aiming to make us a launch nation again, it seemed like the perfect time to bring Black Arrow back. This is said to have given the rocket "cult status" among the space community. The Black Arrow's journey home saw it transported across land and sea - making the trip from the Australian desert to Edinburgh via Adelaide. Dr Graham Turnock, chief executive of the UK Space Agency, said: "Black Arrow is testament to Britain's longstanding heritage in the space sector which continues to thrive today. "The government's Spaceflight Programme includes a series of education and outreach activities which I hope will play a major role in inspiring the next generation of space scientists, engineers and entrepreneurs." The company's next rockets, Skylark Micro and SkyHy, will allow its team to gain more launch experience, with the latter capable of reaching the edge of space. The UK’s only rocket to launch a satellite into orbit successfully is to go on show in Scotland nearly half a century after its ground-breaking flight. 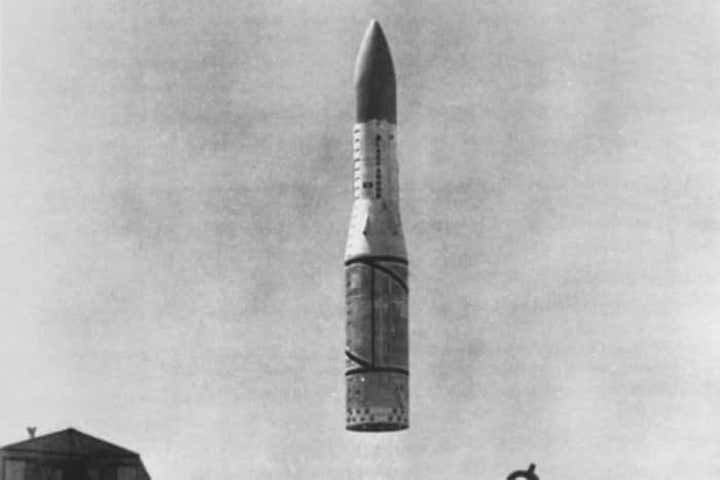 The Black Arrow projectile had been exhibited at a site in the South Australian outback where it crash-landed more than 48 years ago. 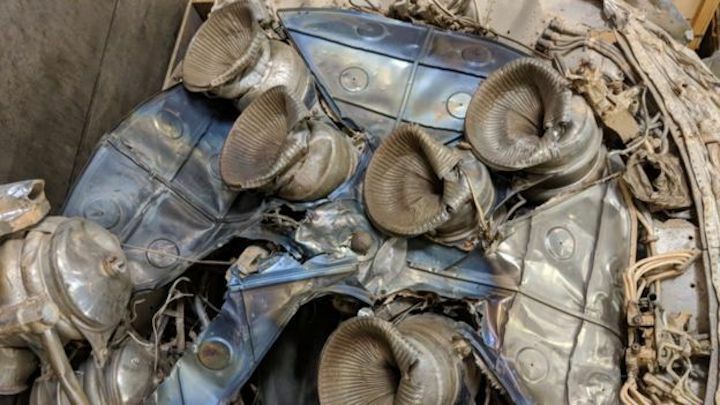 Over time it had become damaged by extreme weather and vandalism, but then Edinburgh-based space technology firm Skyrora stepped in to bring it home. 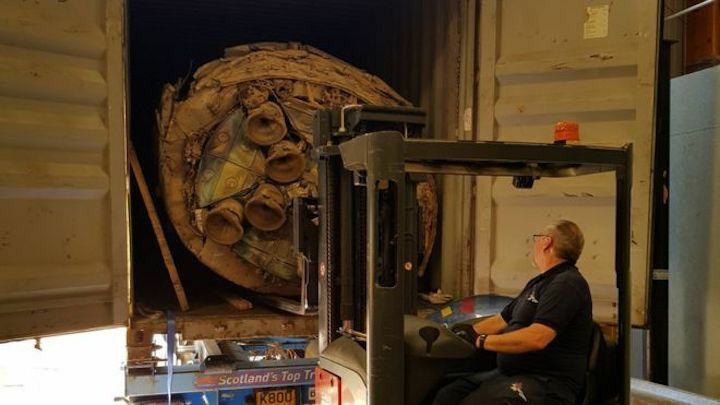 Now, after a 10,000-mile journey from the other side of the world, the rocket – described as “the most important artefact” of the UK’s space industry – is to be revealed at a special ceremony in Penicuik, Midlothian, on Friday. “This is quite feasibly the most important artefact linked to the UK’s space history,” said Daniel Smith, director at Skyrora. “While our engineers have been working on our own launches, our STEM ambassadors have been arranging all of this in the background. “We’ll be unveiling it in Penicuik later this month, not far from our headquarters and workshop in Edinburgh. “With the UK government aiming to make us a launch nation again, it seemed like the perfect time to bring Black Arrow back. The UK Space Agency has previously announced £2.5 million of funding for a proposed vertical launch spaceport in Sutherland. Developed and tested on the Isle of Wight, the Black Arrow programme completed four rockets between 1969 and 1971. The third flight was the first and only successful UK-led orbital launch, but the programme was then cancelled. This is said to have given the rocket “cult status” among the space community. Black Arrow’s journey home saw it transported across land and sea – making the trip from the Australian desert to Edinburgh via Adelaide. kyrora has also commissioned a plaque to be placed where the rocket had lain for the decades since its launch. Dr Graham Turnock, chief executive of the UK Space Agency, said: “Black Arrow is testament to Britain’s long-standing heritage in the space sector, which continues to thrive today. “The government’s Spaceflight Programme includes a series of education and outreach activities which I hope will play a major role in inspiring the next generation of space scientists, engineers and entrepreneurs.” Skyrora successfully completed its inaugural sub-orbital test launch from a site near Inverness last year. Its next rockets, Skylark Micro and SkyHy, will let the team gain more valuable launch experience, with the latter capable of reaching the edge of space – a feat never before achieved by a private firm launching from the UK.